Local lawmakers toured the control at North Perry Airport in Pembroke Pines Thursday to highlight the need to keep it open. U.S. Rep. Frederica Wilson was joined by the mayors of Pembroke Pines and Miramar to discuss the importance of the airport and its tower, which is the 9th busiest contract tower in the country. The FAA had scheduled to shut the tower down this weekend due to the sequester cuts but Broward County made a deal to pay the bill to keep it open but at reduced hours. 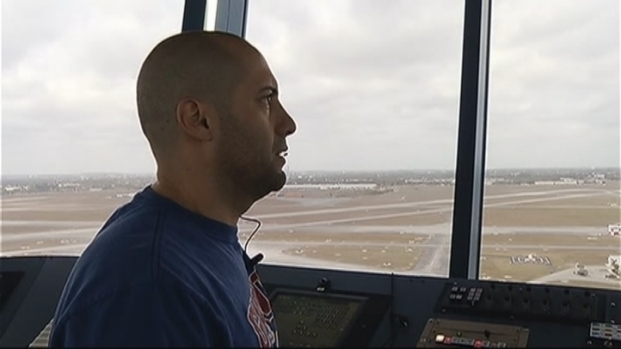 Because of the reduced hours, three air traffic controllers will lose their jobs on Saturday, including a Navy vet with 23 years at the airport. The estimated economic impact of the airport on the area is $133 million annually, and five flight schools and two fixed-base operators are based at the airport. Miami Executive Aviation broke ground Monday on Opa-locka Executive Airport's new $4.7 million state-of-the-art business aviation hangar, but federal sequester cuts could force the airport to close a new $12 million control tower. NBC 6's Ari Odzer speaks to Miami-Dade County Mayor Carlos Gimenez, airport pilots and air traffic controllers.